Royel Security Ltd. is an established market leader in the provision of manpower and security solutions, facilities management and business process outsourcing.We are a growing company which currently employs people from Newcastle upon Tyne Based Office and in a planning phase of managing network of offices throughout the United Kingdom.Royel Security Ltd specialises in the security deployment and management of facilities services for shopping centres as well as for the corporate sector. The name you can trust with confidence. Our aim is to provide a secure, safe and friendly environment for our prestigious clients. Royel Security has truly become a national rather than a regional business and we continue to provide security personnel in all over the UK. Royel Security Ltd is totally committed to highest quality standards and efficiency. We are an established market leader. Our aim is to provide a secure, safe and friendly environment. We are committed to highest quality standards and efficiency. Royel Security has truly become a national rather than a regional business. Royel Security is SIA approved contractor for security guarding. 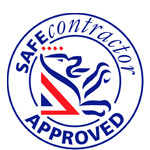 Royel Security Ltd currently holds SIA Approved Contractor Scheme (ACS) status for the provision of Security Guarding. Royel Security Ltd. is an established market leader in the provision of manpower and security solutions, facilities management and business process outsourcing. Our aim is to provide a secure, safe and friendly environment for our prestigious clients.